For those wanting to get their feet wet in translation, public domain works (those who copyright has expired) are great since they are not only legally, freely available, but translations of them can (potentially) be published without having to get permission from the work’s original author. For those translating from Japanese, Aozora Bunko (青空文庫) is a great first stop for public domain works. However, can you really just use these freely, including publishing translations, without acquiring any specific rights? As we’ll see, this is a surprisingly complex question. First, let us talk about translating and publishing works on a site like Aozora Bunko in Japan. While I am not an expert and will not be giving a detailed summary of Japanese copyright law, it seems that Japanese works generally enter the public domain in Japan 50 years after the author’s death (see this reference). So while there is a chance someone mistakenly put the work on Aozora Bunko, you can do a quick check using this rule for some level of confidence. However, to be even more sure you can send a query (preferably in Japanese) to the Japan Writer’s Association (日本文芸家協会). However, I would imagine that, more often than not, you would want to publish your translation of some public domain work in your home country, or even worldwide. The challenge here is that the laws for what makes public domain are different for each country. To get a taste for this you can see this page, which has a table summarizing the copyright lengths for many countries. While there are a few broad categories you can group the countries into, this table has over 200 footnotes. This means that even though a certain work may be considered public domain in one country, it may be still considered under copyright in another. Whether a ‘proper’ copyright notice was used in subsequent publishings. As a result, the process to validate the public domain status for a single work (in a single country like the U.S.) can be daunting, involving researching various facts and understanding the complexities of the relevant laws. Some of the above information, like determining whether a copyright was registered with the government, may lead to hefty hourly fees, with no guarantee how long it will take in advance. While there is at least one database with U.S. copyright information, that does not cover all periods of time. There are many resources to learn more about this. While you can just read through the relevant laws, that is a pretty major undertaking and may require special knowledge to understand the nuances. If you are interested though, you can start here (the PDF linked is over 350 pages). A perhaps more feasible option is to find a book which distills the complexities into content more digestible for the average person. Here is one book I read part of that was useful. One thing that I learned that was some of the related laws actually can differ depending on what state you live in. So if you are in this situation you have a few options. Try and become a copyright law expert yourself, just hope for the best you are doing the right thing (not recommended), or hire an expert to verify copyright status for you. For a recent translation project, I was faced with this very challenge. While I did enough reading up to grasp some of the basics, I still lacked enough confidence to be sure of my decision. Also, some of the information required was not easy for me to acquire without significant cost or time effort. So I decided to reach out to see at least how much it would cost to hire a copyright lawyer to do this research for me. Fortunately, many lawyers will do at least a free 30-minute consultation which may involve giving you an estimate or a level of confidence that they can help you with the issue in question. The copyright lawyer did not deal with this sort of work specifically and recommended to find someone else. The copyright lawyer said they can determine this, but requested I supply some of the information in the above table (publication info, etc.). Some of this was not trivial to determine so this made less of a purpose for me to hire them. The copyright lawyer said this can probably be determined in a few hours of billable time, however there was no guarantee. Keep in mind that the hourly fee for copyright lawyers is generally not cheap, so the prospect of having no firm guarantee it will be done in, say, 2-3 hours is not desirable. Of course, if a certain work is still under copyright, there one main way to be able to legally publish that work or a translation of it: to get legal rights to do so from the copyright holder (it may be the original author, publisher, or someone else). Sometime during this process of research, I decided to find the copyright owner of the author in question. Fortunately, the Japan Writer’s Association gave me an address and phone number of the living relative of the author. However, to make things go smoothly (and more quickly) I requested them to directly reach out to this person me to get permission for me to translate and publish. Even though they had done this before for me for a different author, in this case they refused, saying they didn’t have a significant “connection” to the person in question. I checked with another publisher or two but they either said “the work is in the public domain” or didn’t answer my query. Note that from their point of view (being a Japanese publisher) the work is in the public domain in Japan. If you want to try and get rights yourself for a work you can find this great article with a lot of helpful tips and information. As I was not comfortable enough speaking on the phone with this person (I can converse well enough to communicate my intent, but I was more worried about unintended nuances of things I said, and related business/social protocols in this case), my only option was to write a letter. I wrote up a page-long letter, printed it out, signed it by hand, and mailed it using a postal method that would take 1-2 weeks. I had also included my email address to save time to respond, and so the person in question didn’t have to go through the trouble send a physical letter. But after not gotten any response in several weeks, I began to grow concerned I would have to go back to trying to verify the public domain status. Of course, I always had the option to just ‘hope for the best’ and publish without full confirmation. Even though I feel that being involved in legal action may not be likely in this specific case (and this is not a well-founded guess), just the lingering possibility is enough to put a heavy weight on my chest. Also, I plan on doing this with more works in the future, so I thought might as well do things right from the beginning. (Although I guess technically this book was the beginning, for which I was lucky to get permission from the author’s living relative(s) for). I might spend significant money (several hundreds of dollars) only to find out the works are not in the public domain in the US. While that is good information, it’s a disheartening result. Even assuming I might spend significant money to find out the works were public domain in the US, I might not make this money back in sales. But the bigger concern is that this judgment would not apply to other countries, so whether I could publish in the rest of the world was still in debate. Hiring a lawyer to go through this process for all countries seems infeasible. I might spend significant money, only to find out that more time is needed to get the answer I need. However, the upshot of all the above scenarios is that I would have more confidence in judging similar questions about public domain (in the U.S.) for other authors in the future. 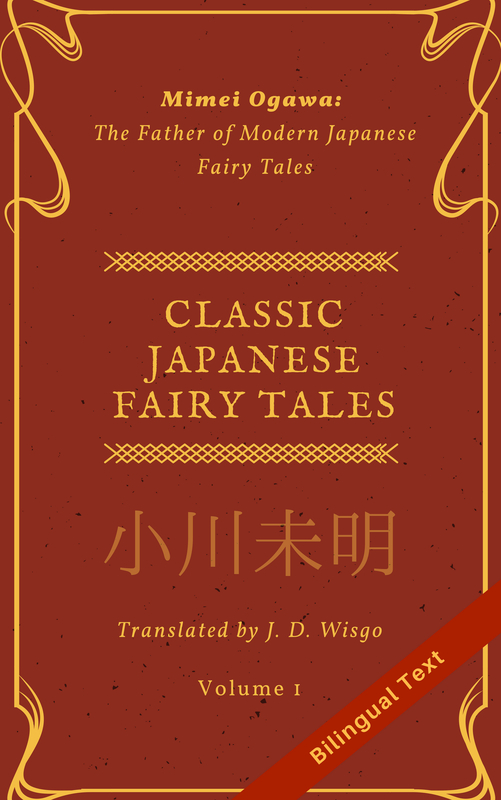 In the meantime, I began to look at some other options for translations projects, and I found a great work that I have started translating and really excited about. But, just around the time I stopped checking the mailbox for letters from Japan, I got an email from a certain person. He apologized for the delay in responding, and gave me permission to translate and publish the works from the earlier author in question! So, while I haven’t mastered the U.S. copyright laws, I’ve gotten enough knowledge to make things a little easier for me next time. I’ve also been reminded that getting permission from the legal rights holder is always best. Finally, I learned that next time I should probably give it a few months before I assume a response to a letter is not coming.